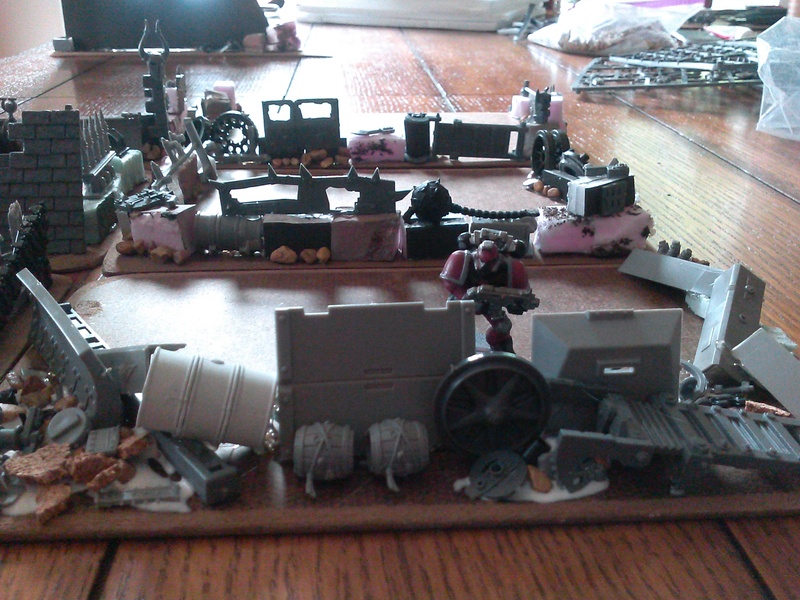 Well I have been working on a bunch of Warhammer 40k projects lately. First I had purchased a bunch of Ork boys from a guy on Craigslist a few years ago. He had painted them in Bad Moon colors and The yellow did not just do it for me. So I have been doing a quick repainted on them. I got some Raptors for my birthday last year that I finally put together As well. They are sweet models! I had a lot of fun putting them together and I sure they will help my Night Lords force out soon. 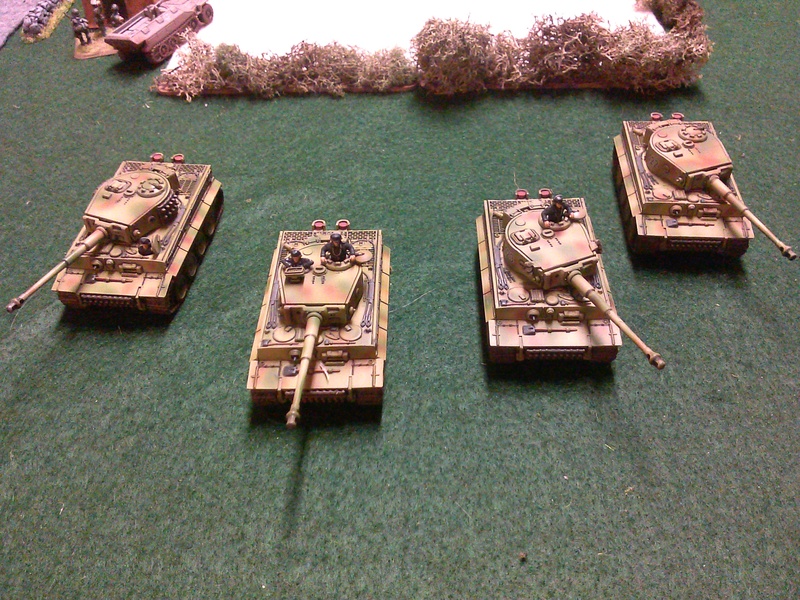 So far I have only primed them in preparation to use some badger ghost tint on them. And lastly my favorite project I am working on. Space Wolf Terminators converted to serve the Fickle Foursome!! 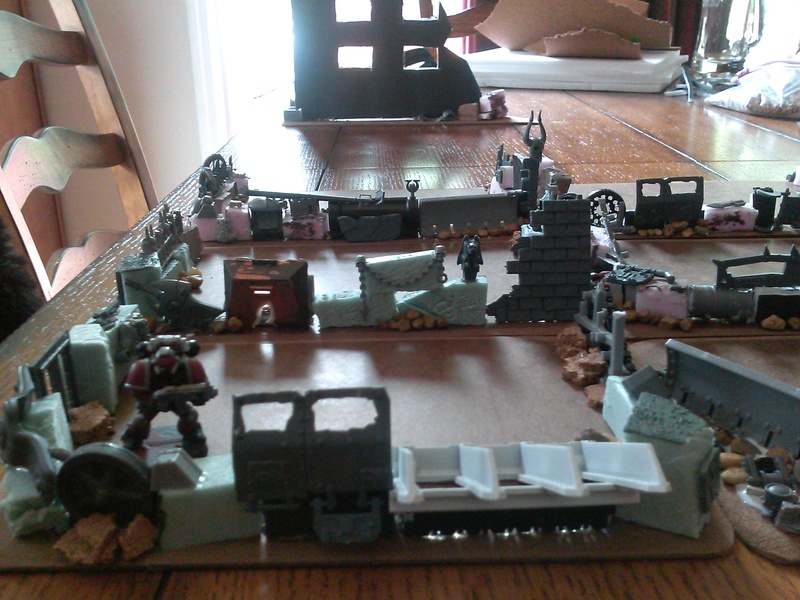 The misses loves Chaos figs and she has a nice sized Fantasy army. 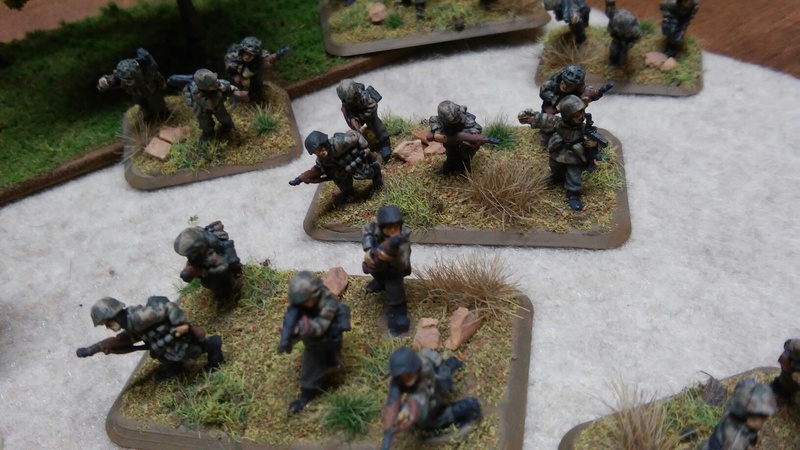 I used some of the bits to convert these guys. I am going to call the “Shadow Hounds”. Fallen Space Wolves that have joined the Night Lords! 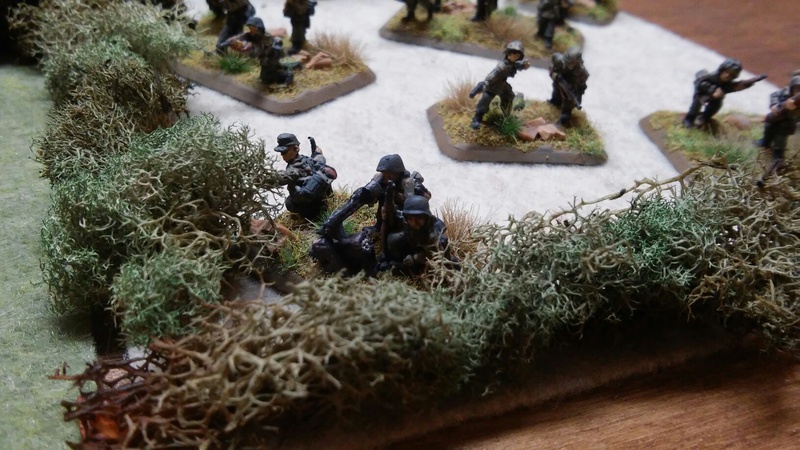 Here are some more 15mm WWII Germans I finished this week. 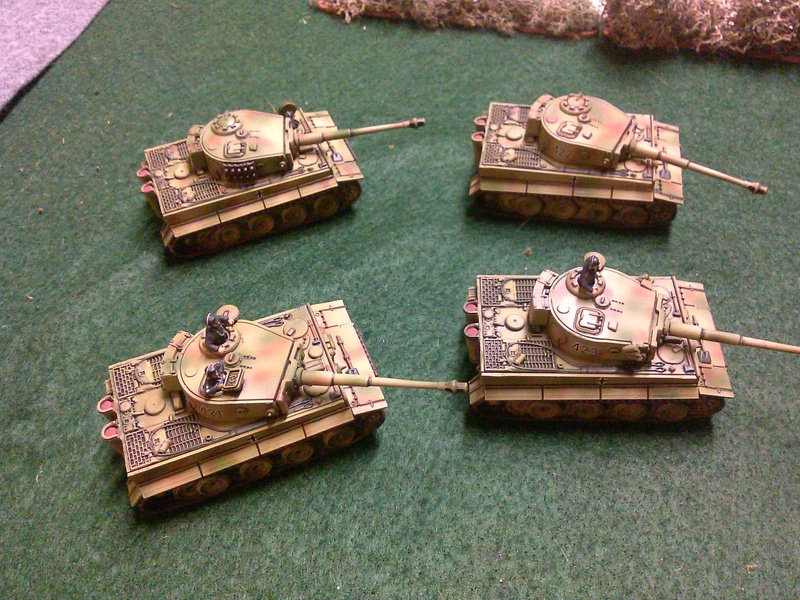 I did up a platoon of Stug IIIs from Plastic Soldier Company. I also assembled one as a StuH42. I think they came out a little darker than I had hoped. 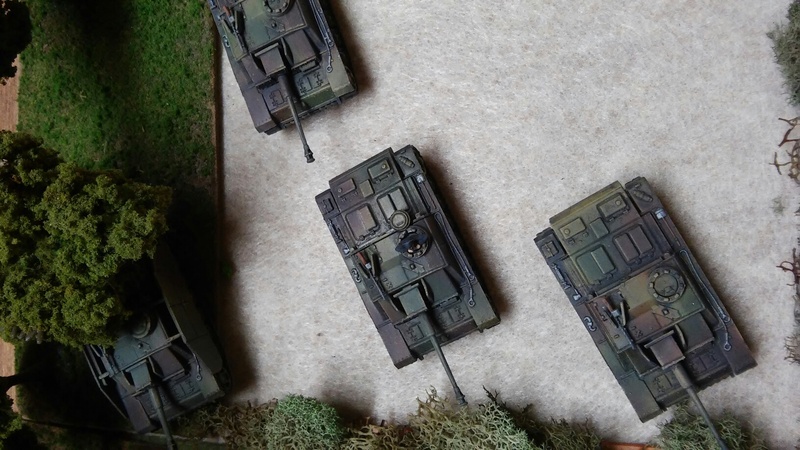 I uses a black oil wash on them to help pick some details instead of my normal pin wash technique. It has been way to long since I posted on here. 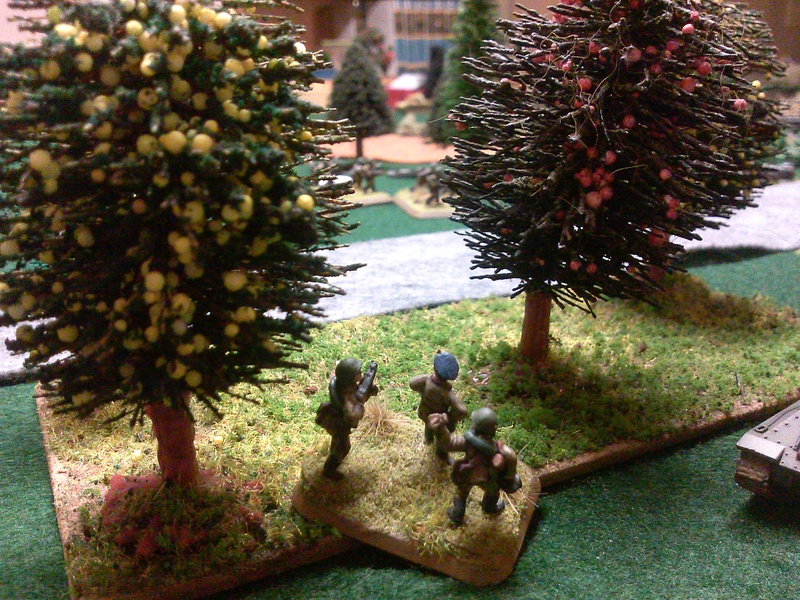 I have some more 15mm WWII projects to show off. 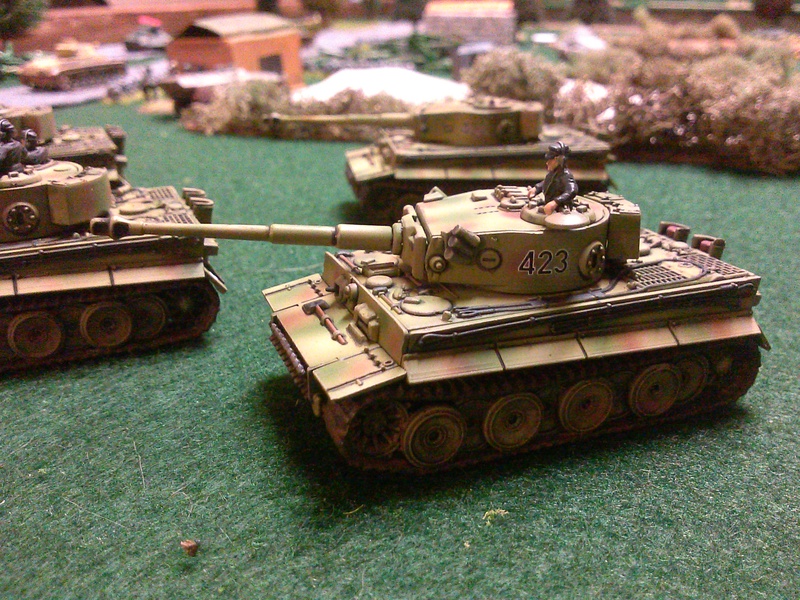 Most recent is a platoon of SS Panzer Grenadiers. 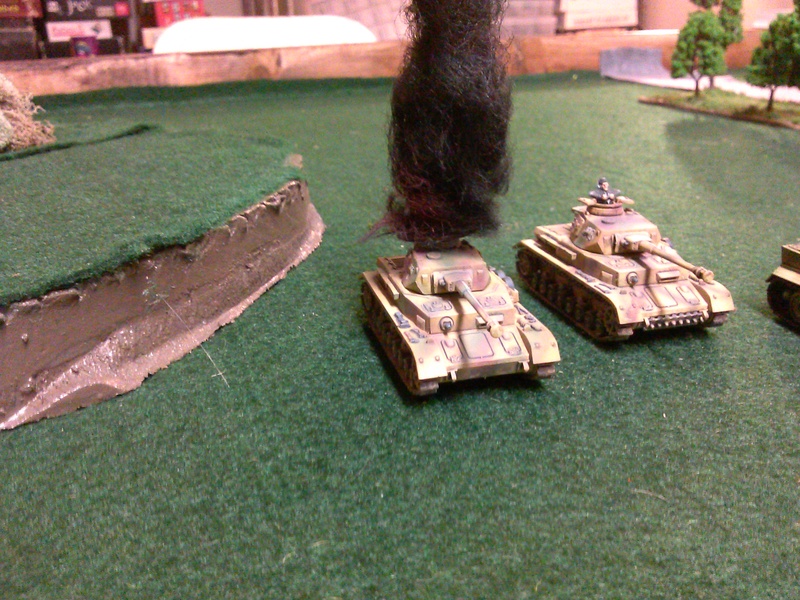 I used a splinter camo pattern on their ponchos and helmet covers. 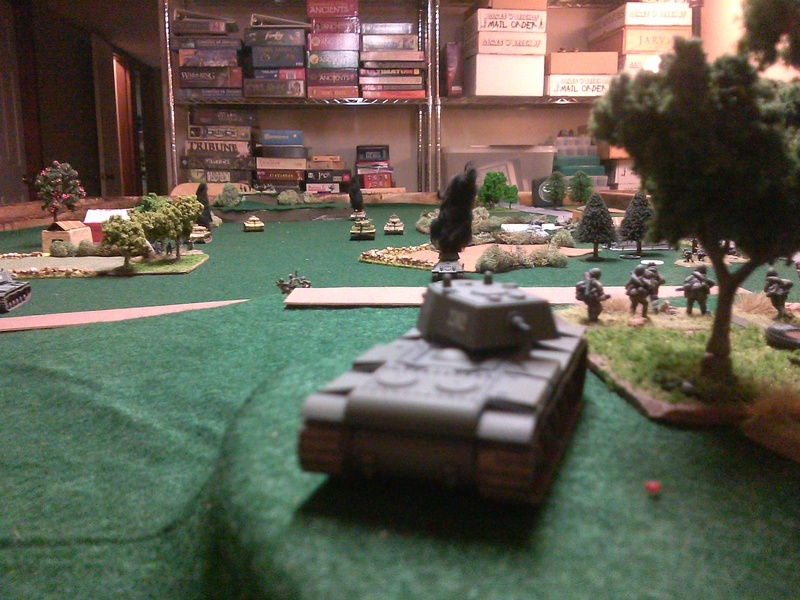 Maybe not very frequently seen in ’43 on the Eastern Front but I still think it looks cool. 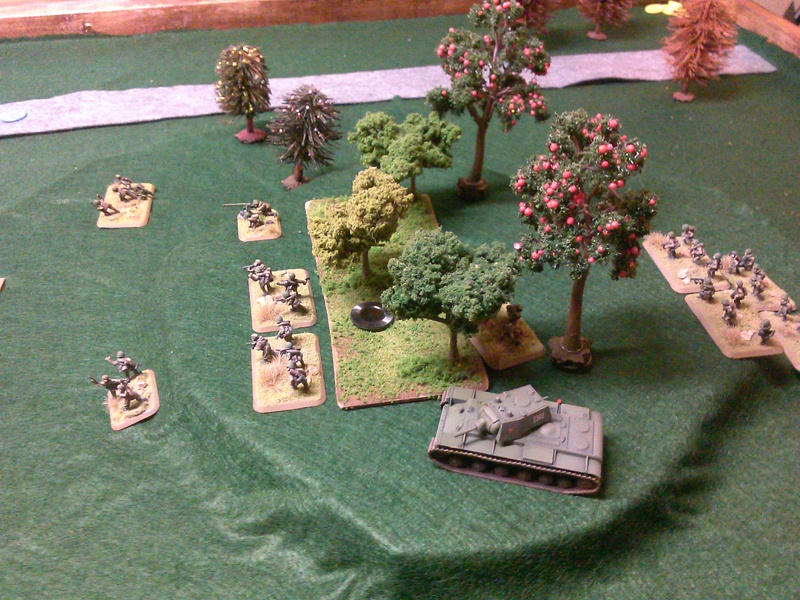 The Old Man and I got in another game of Battlegroup Kursk. 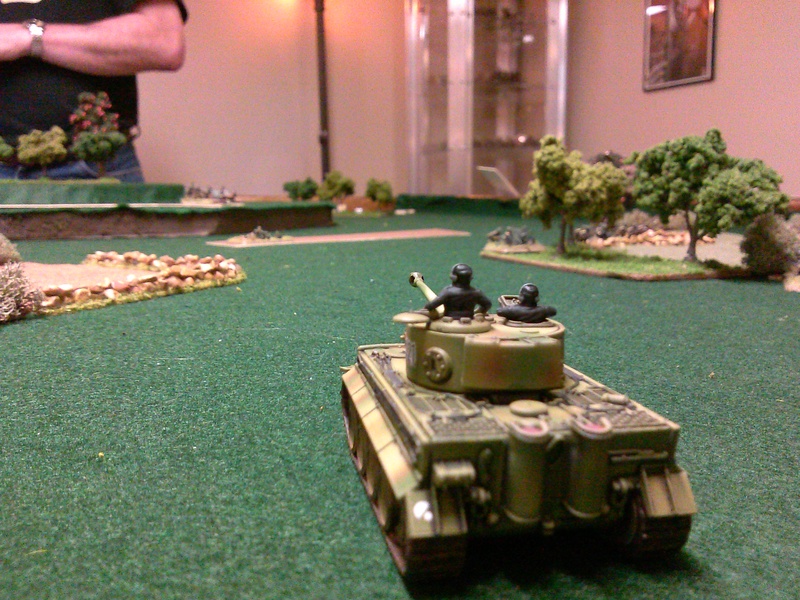 We played the high ground scenario out the Kursk book. 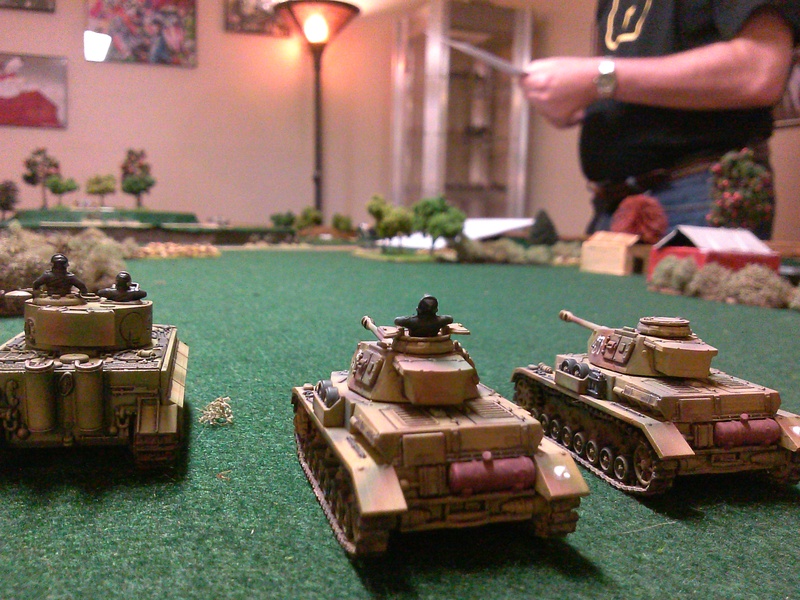 I played the mighty German Panzer Corps, while the Old Man took a stalwart Soviet Infantry Regiment. 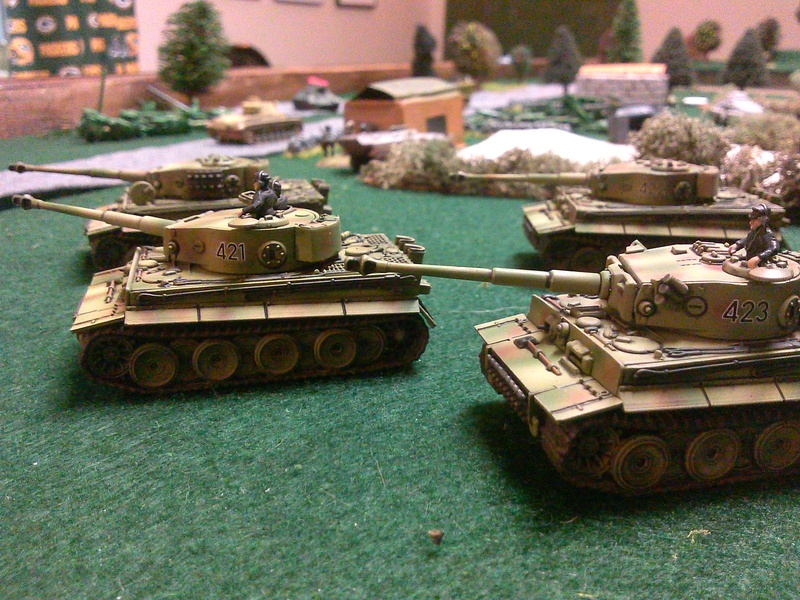 I took a Tiger, an Armred Infantry Platoon, a platoon of Panzer IVs, and a platoon of Panzer IIIs. 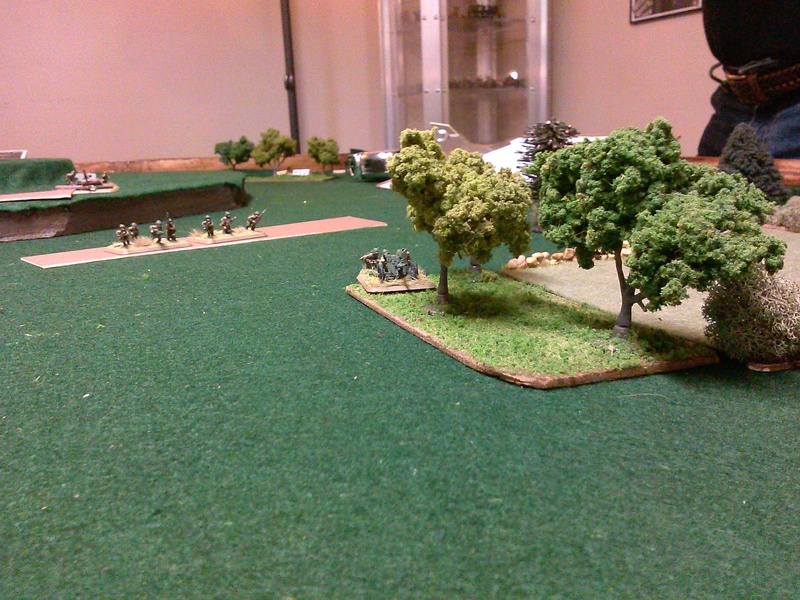 The Old Man took 2 infantry platoons with antitank rifles, maxims, and some wimpy 45mm AT guns. 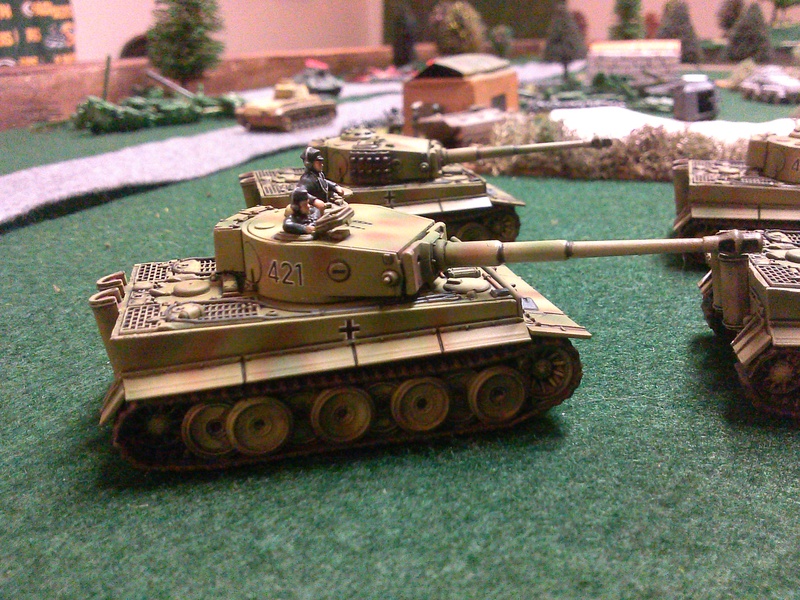 He also had a platoon of T34s, 2 KV-1s and a brace of crash booms (Zis3 76mm antitank guns). We took some other fun stuff like some off board mortars, air strikes, a counter bombardment and some other odds and ends. 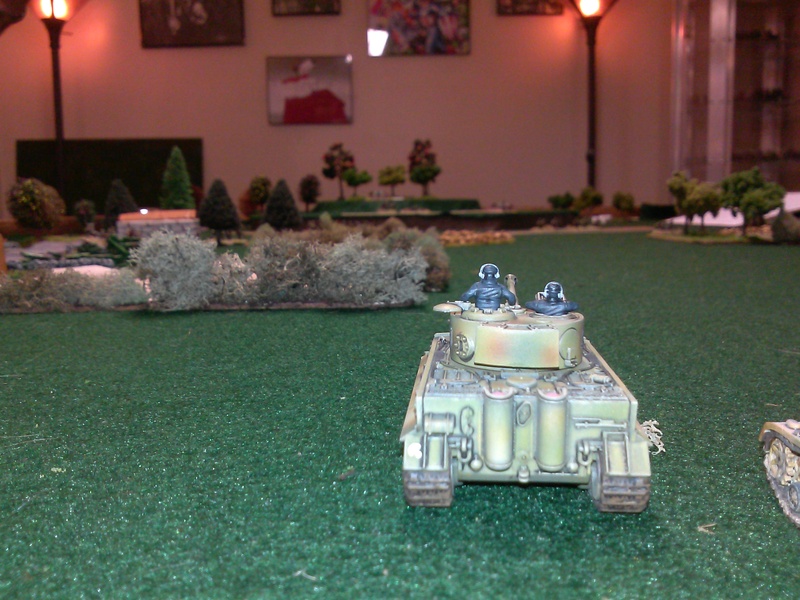 i will say that the Tiger is a awesome tank. 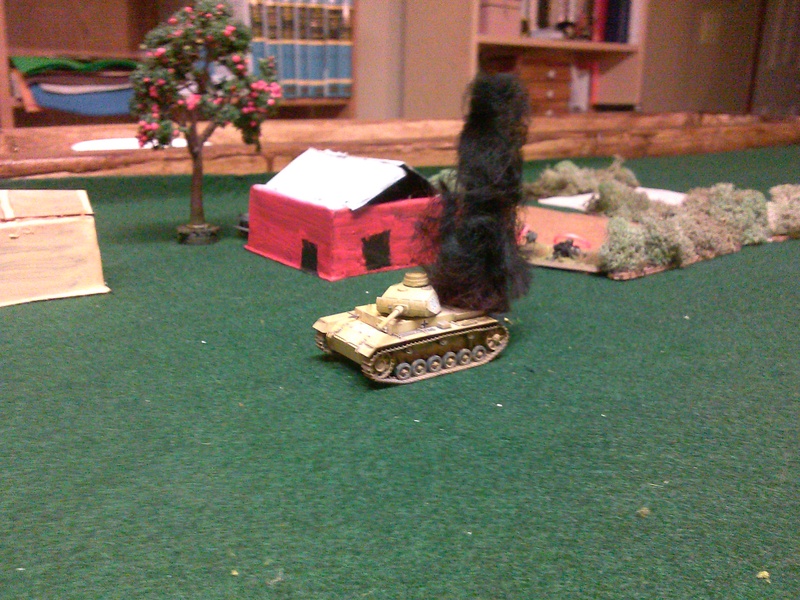 I literally drove it down the middle of the battlefield and it took all kinds of fire and never stopped. It even survived a mine strike! 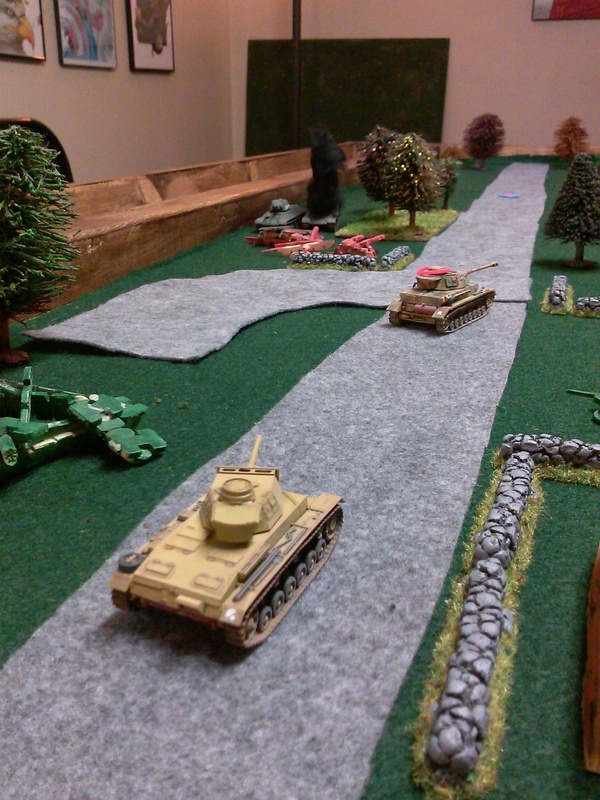 I used it mostly to pin down the crash booms and draw fire away from the Panzer IIIs & IVs. 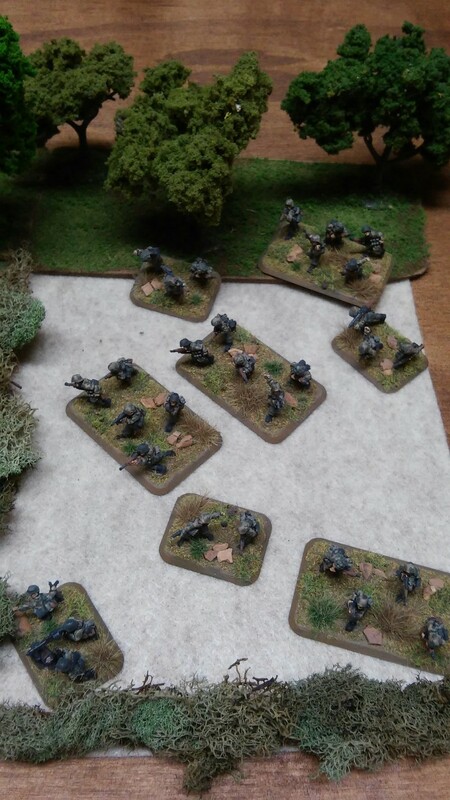 I put my platoon lieutenant on a hill to call in mortar fire and in two barrages and lucky dice rolls had managed to kia both crash booms. The old was not without some good moves of his own. 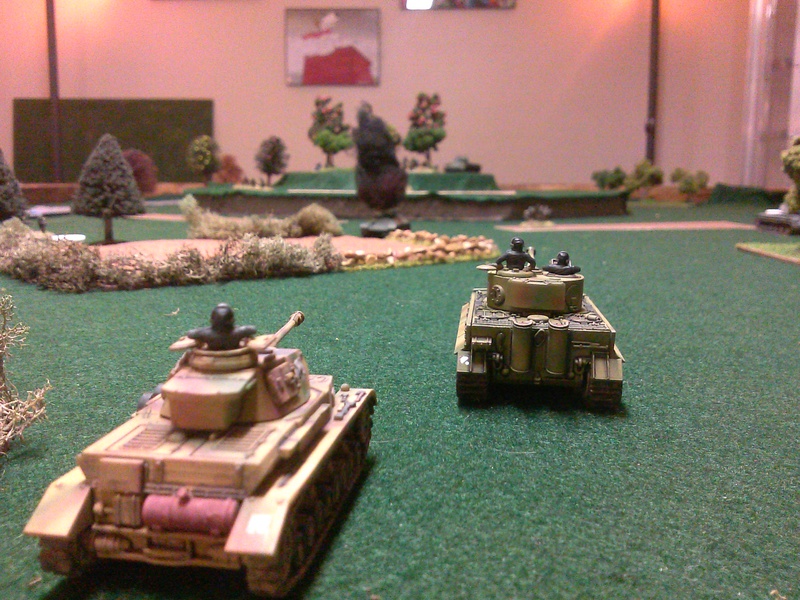 He charged a T34 down one flank and managed to KIA a Panzer IV holding the flank. 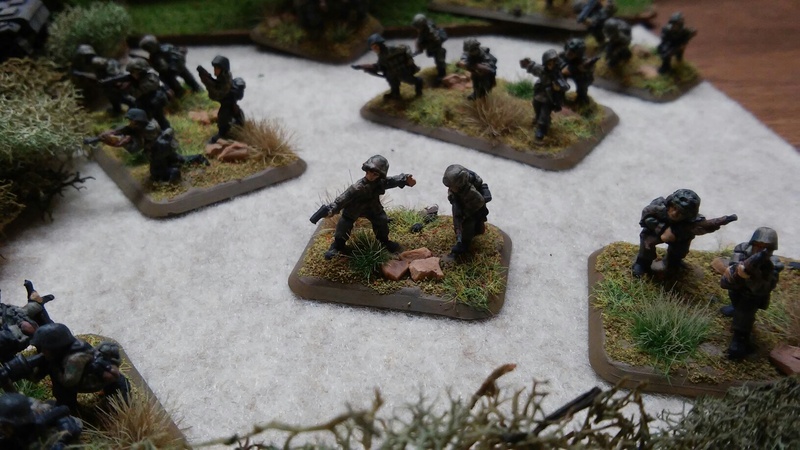 We had a impressive beyond the call of duty (basically units get free moves in their opponents turn by rolling some good morale tests) duel between a maxim team and a MG42 team. We had 2 successful beyond the call of duty rolls each! 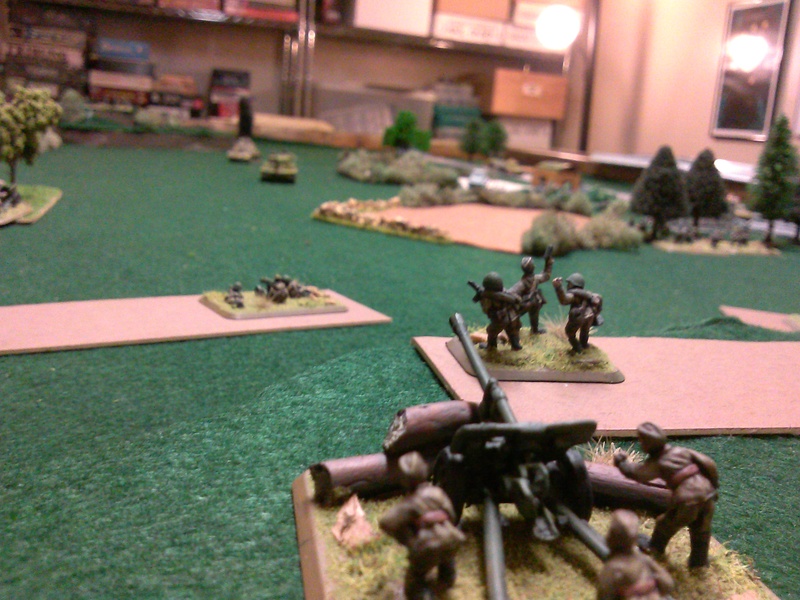 The MG42 ended up winning the duel. 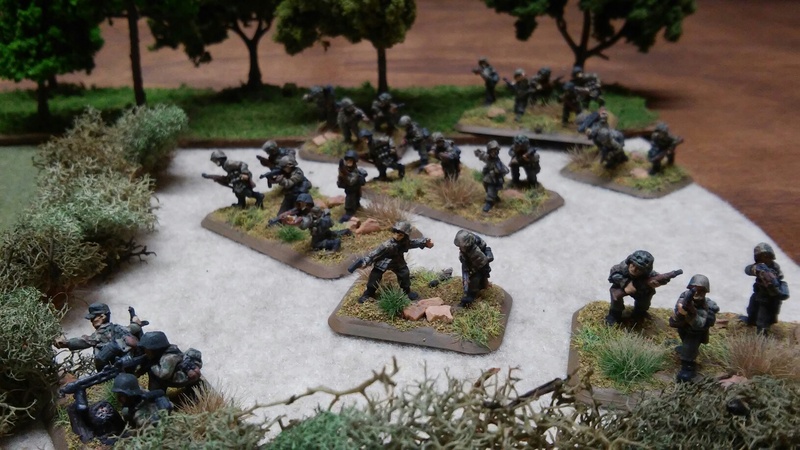 Well the latest 15mm project is done! 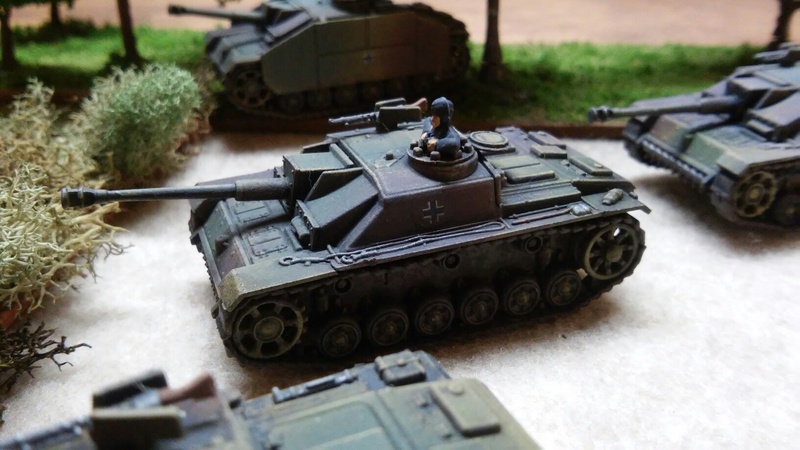 Here are some pics of 15mm German Tigers by Plastic Soldier Company. I had a great time painting these up. I really like all the commander options and little extra parts that come in the kit. About the only issue I am still having is with decals. Some of them are still a little frosty once they dry and get a coat of varnish on top of them . . . I will have to try out some new techniques to fix that. I managed to finish these up just in time for the Old Man to pay me a visit. 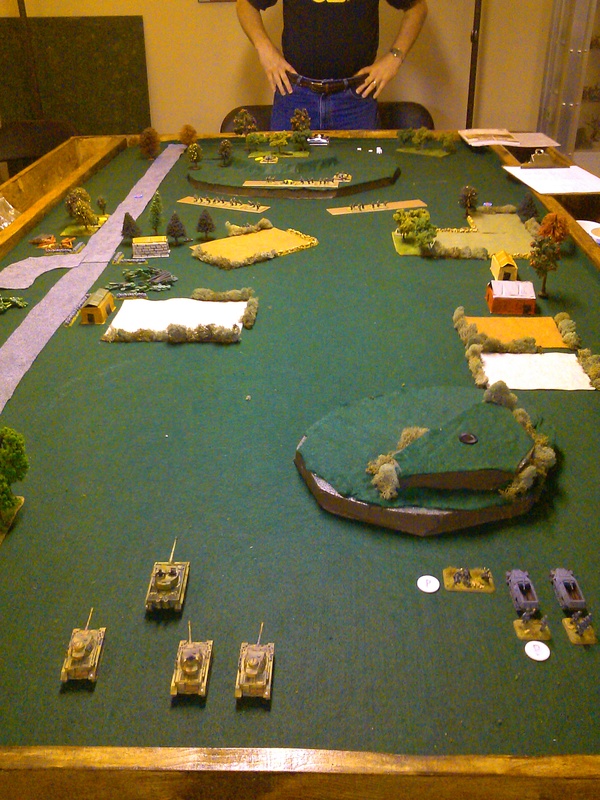 We played a game of Battlegroup Kursk on Saturday. It is quickly becoming my favorite tabletop game. Enjoy the pics! 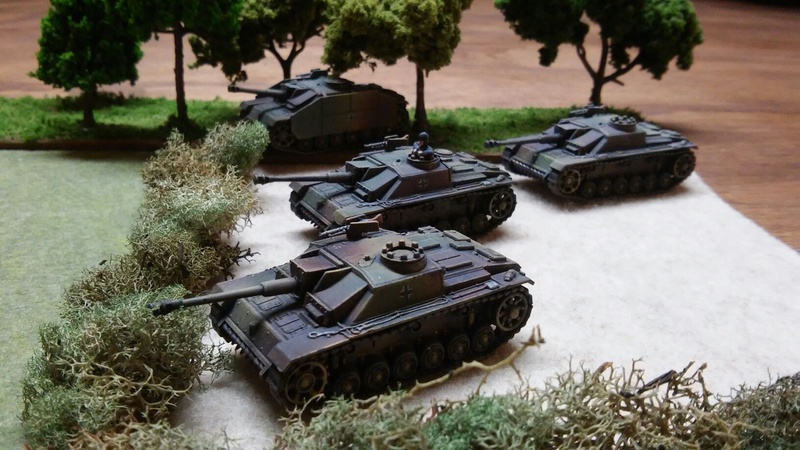 I have been working on and off on some 15mm German figures for Battlegroup Kursk. 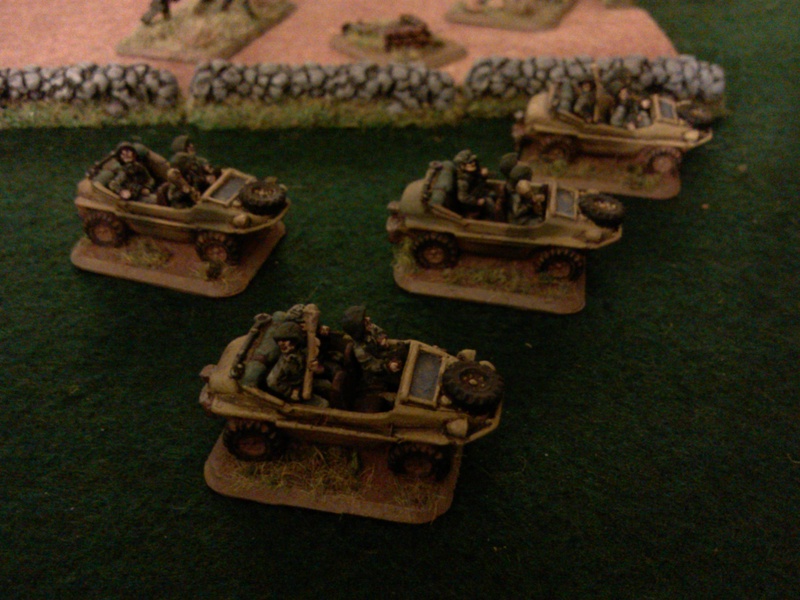 I recently finished up these SS Tank Hunters mounted up in Schwimmwagons. 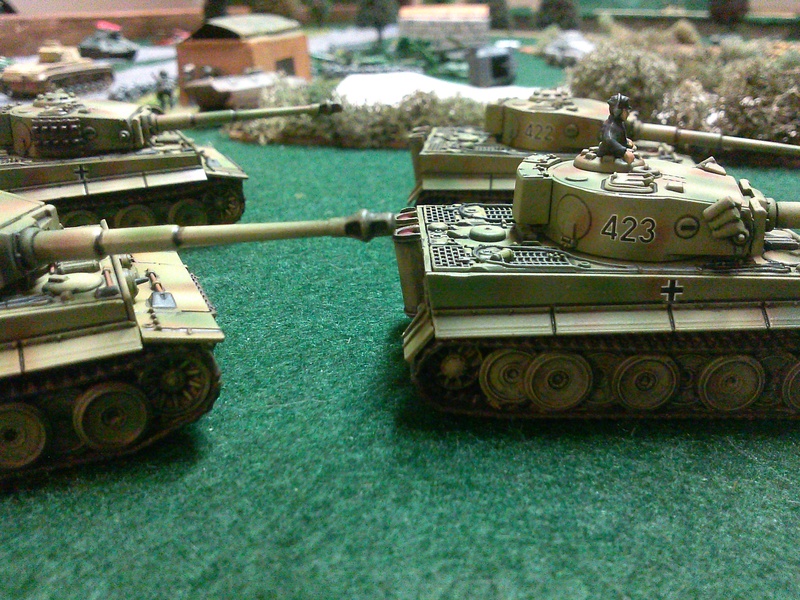 I know that panzerfausts and the like were not out in ’43 but I also figured I could use these in Overlord at sometime in the future as well. 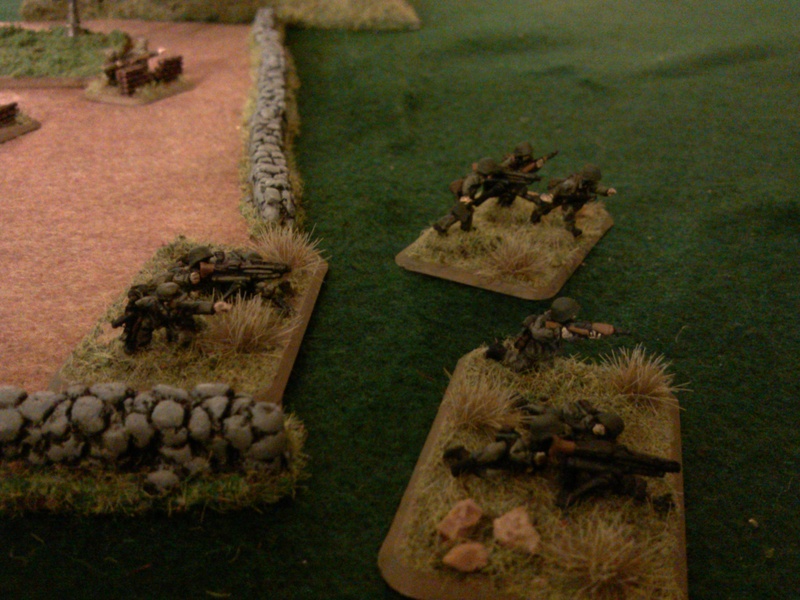 I also did some MG 42 teams because. . . well they are MG42s!!!! 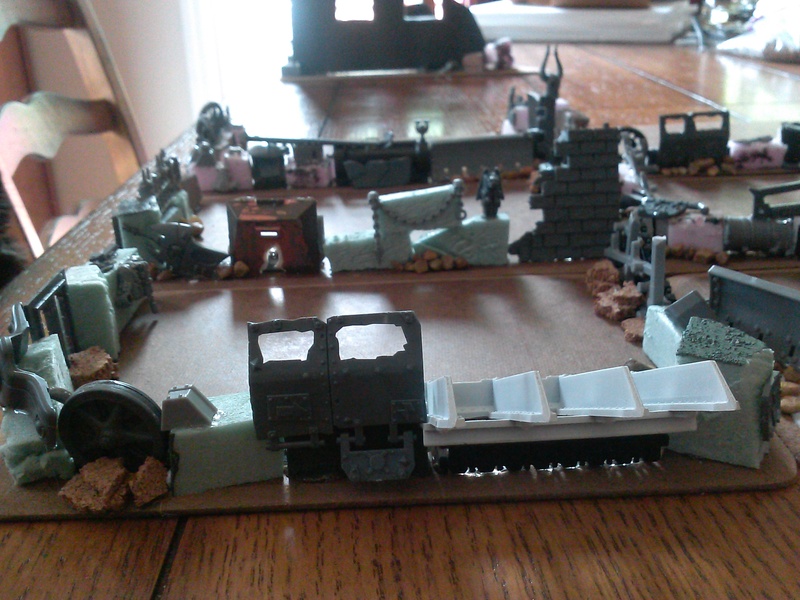 Well I busted out my bits box and built these makeshift bunkers for 40k. 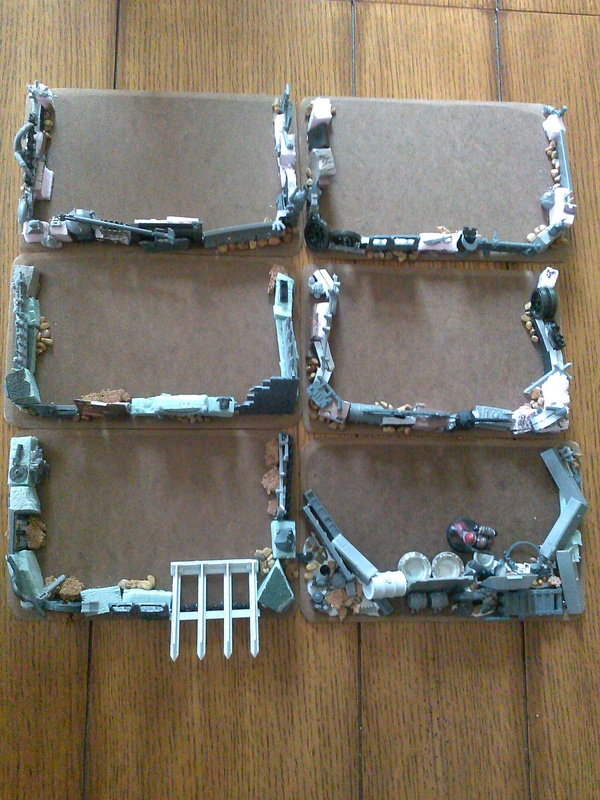 I used a ton of old bit and lots of chopped up foam board.